The crew of the US Coast Guard Cutter (USCGC) Maui completed a series of briefings on 29 December as she prepared to embark on maritime security operations in support of the 30-nation Combined Maritime Forces (CMF) organisation as part of the Canadian-led Combined Task Force 150 (CTF-150). 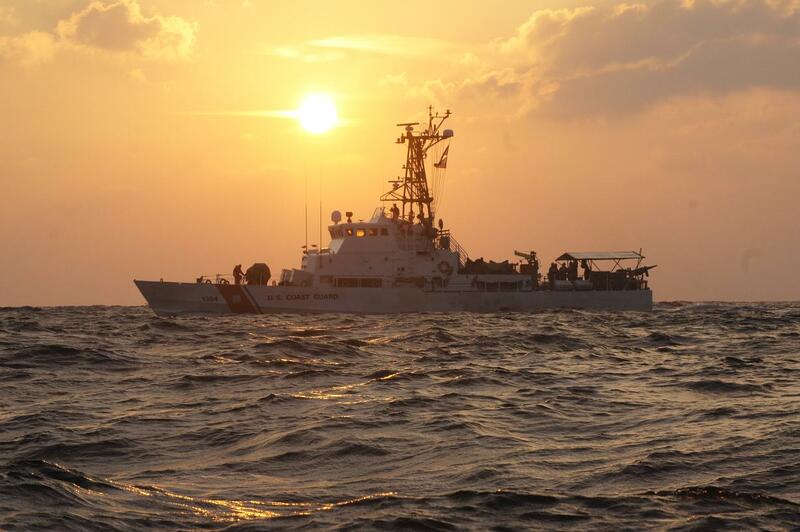 This marks the first time a US Coast Guard Patrol Boat has provided direct support to CTF-150 since 2011. USCGC Maui was welcomed by Commander CTF-150, Commodore Brian Santarpia from the Royal Canadian Navy. The crew then received a series of briefs focused on current operations and boarding procedures in the CTF-150 area of operations. “The US Coast Guard and CMF share common objectives in promoting the legitimate use of international waters in the Middle East, and Maui looks forward to partnering with CTF-150 to enhance maritime safety and security in this important region”. At the conclusion of briefings, Maui’s boarding team joined US Coast Guard Patrol Forces Southwest Asia’s (PATFORSWA) Middle East Training Team at their facility in Bahrain to conduct practical training focused on safely and properly conducting all phases of boarding operations. 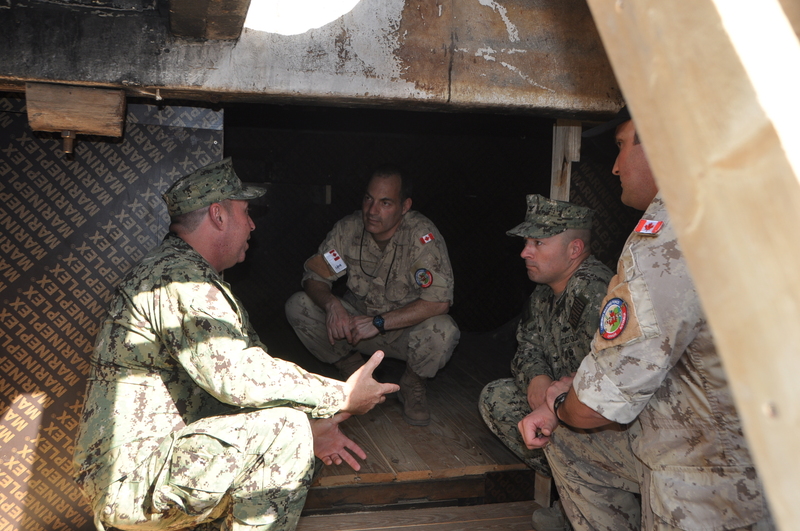 Commodore Santarpia, as well as Captain Lee Petty, the Commodore of PATFORSWA, visited the training site to observe Maui’s boarding teams in action. PATFORSWA is the Coast Guard’s largest unit outside of the continental United States. Established in 2002 in support of Operation Iraqi Freedom, PATFORSWA has played a key role in maritime security and maritime infrastructure protection operations. 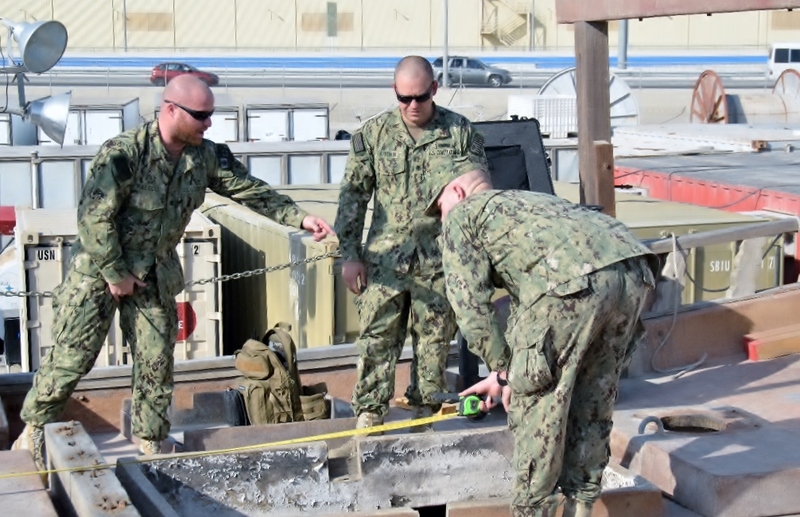 PATFORSWA is comprised of six Island-class cutters, shore side support personnel, Redeployment Assistance and Inspection Detachment, the Middle East Training Team, and other deployable specialised forces operating throughout the US Central Command area of responsibility. CTF-150’s mandate is to promote security and stability at sea by countering terrorist acts and related illegal activities, which terrorists use to fund or conceal their movements. In 2014 only, CTF-150 units denied international terrorist networks access to millions of dollars from trafficking by seizing and destroying 21,500kg of a variety of illegal narcotics.